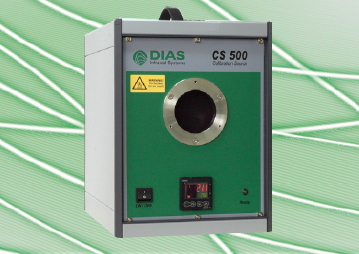 The digital DIAS transfer radiation thermometers PYROSPOT DG 10 cal and PYROSPOT DS 10 cal are particularly long-term stable and high-precision calibrated devices that are specifically designes for inspection of black body calibration sources in the temperature range from 300 °C to 2500 °C. The pyrometers PYROSPOT DS 10N cal and DG 10N cal work in the near infrared range (NIR) from 0.8 µm to 1.1 µm and 1.5 µm to 1.8 µm (measuring temperature range: 300 °C to 2500 °C). 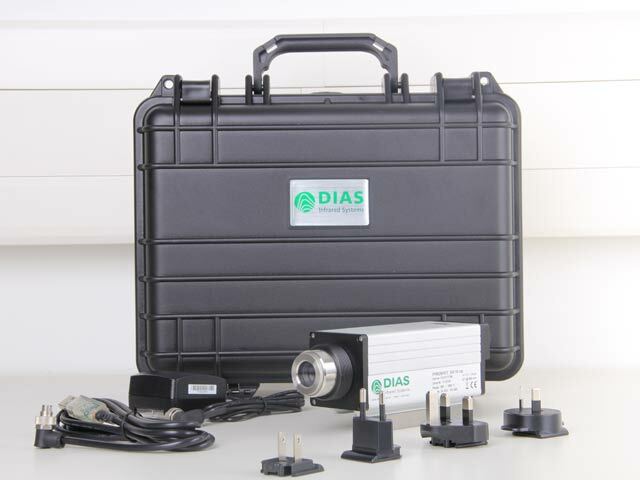 For the mid-wavelength infrared range (MWIR) between 4.8 µm and 5.2 µm the device PYROSPOT DY 10G cal for temperatures from 100 °C to 1400 °C is available. For wavelengths around 3.9 µm and temperatures between 200 °C and 1500 °C the pyrometer type PYROSPOT DY 10F cal is suitable. The transfer radiation thermometer PYROSPOT DY 10L cal is suitable for the long-wavelength infrared range (LWIR) 8 µm to 14 µm and temperatures between 0 °C and 1000 °C.